W Series has split opinion since its launch last year, but as the countdown to its opening race continues, the opportunities on offer remain its focus. When the new, all-female W Series was announced back in October, it immediately became one of the most divisive topics in motorsport discourse. The concept of a racing championship only for women could be perceived in two ways: one that creates opportunities many would other miss out on in the intensely-competitive racing world; or one that segregates women from mainstream motorsport where they would typically race against their male counterparts. Women in racing were open with their opinions on the matter, offering a mix of views. While the likes of Tatiana Calderon and Jamie Chadwick gave their support, Pippa Mann, Simona de Silvestro and Sophia Floersch all expressed their concerns about what a women-only series would do for wider female involvement in motorsport. “I think there a few people with loud voices,” says W Series CEO Catherine Bond Muir of the criticism. “From our point of view, I think there is overwhelming support. There are certain people who believe it is segregation, we don’t at all because we’re encouraging women. I have a very strong view that it isn’t 50-50 at all. 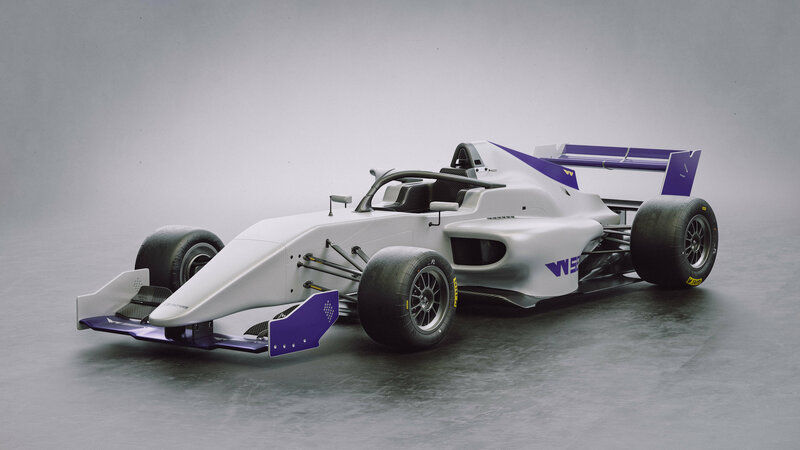 W Series will see all drivers have their drives funded directly, meaning there is no need for them to hunt for sponsorship just to be able to get on the grid. The 18-strong grid will be chosen following a rigorous selection process, with a 60-strong longlist set to be whittled down to a final list of entries in two weeks following a series of trials in Melk, Austria. “The opportunity it creates will highlight and enhance those that enter because the competition will be focused on what they can achieve on-track,” explains former F1 driver and W Series advisor David Coulthard. Like Bond Muir, Coulthard is respectful of the criticism that is being levelled against W Series – but he too is focusing on the opportunities and change in perceptions he feels will come about from its presence on the motorsport ladder. “It is more than just a normal racing series,” says Coulthard. “This is trying to effect a positive change within what is a great industry. This sport cannot be at all accused of being sexist in any way in the respect that it’s open to men and women in all of the different areas that you can be engaged in through this sport, through engineering, through media, whatever it happens to be. “There hasn’t been the route to a professional driving career established enough to take away that doubt. We want to change that. Susie Wolff was someone I competed against, a friend, someone I have worked with, and I know how difficult her journey was. She was talented and lucky. She was given an opportunity which enabled her to take the journey as far as she felt she could. All drivers on the 18-strong grid (plus the two reserves) will receive a cut of a $1.5 million prize pot, with the winner taking away $500k to reinvest in their racing career. One of the criticisms of the series is that such funding will only go part-way to a Formula 3 seat, let alone any higher on the ladder – but for a young racer such as Esmee Hawkey, the ripple effect that will come with winning W Series would prove even more valuable. Hawkey is one of the 60 drivers who made it past the first stage and will undergo a series of tests in Austria later this month. She has previously raced in Ginetta Juniors, and spent 2018 on the Porsche Carrera Cup grid. The single-seater route looked shut off for her – but W Series could help to open that opportunity up. “I’ve actually never raced a single-seater in my life,” reveals Hawkey. 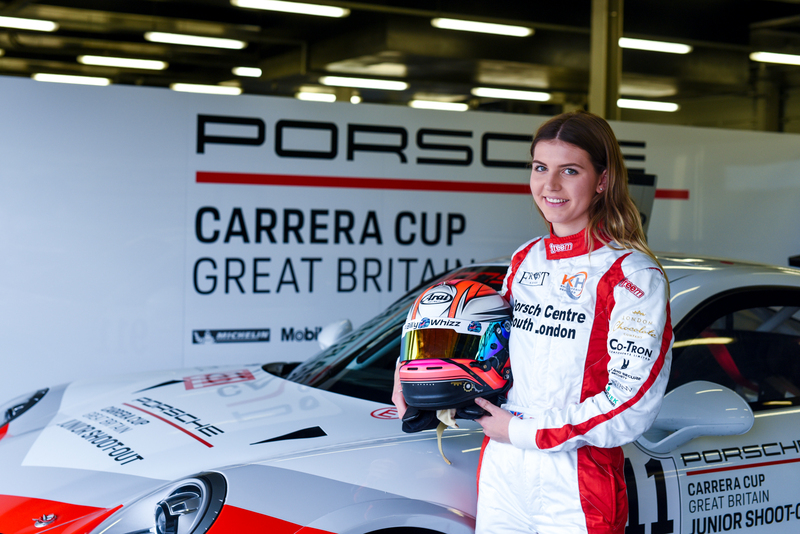 “I’ve been in Ginettas, I’ve been in the Cayman GT4, I’ve been in the 911 GT3 Porsche, so now to get into the W Series single-seater is going to be a totally different experience - a great experience as well. 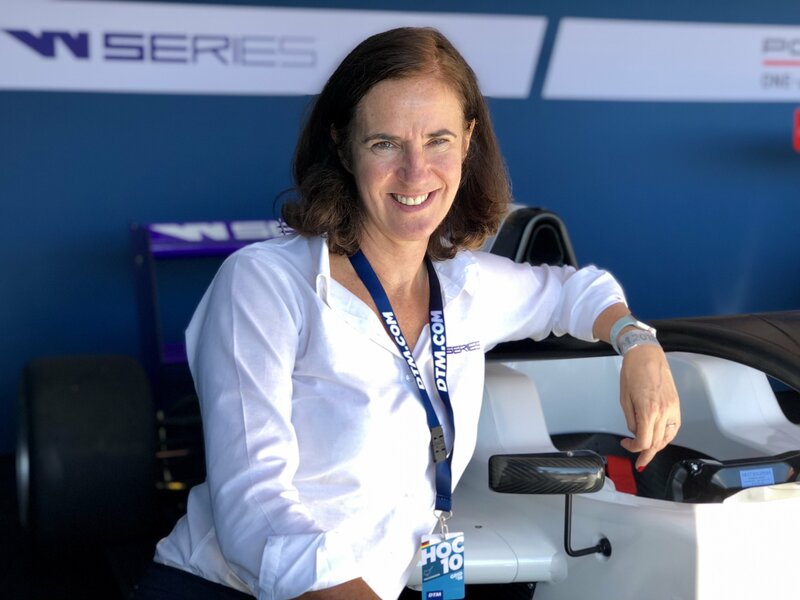 But for Bond Muir, the establishment of an all-female series will only enhance the involvement of women in motorsport by increasing and highlighting participation – potentially to a level that one day makes W Series redundant. “Take the issue of grid girls - grid girls divided opinion completely, saying it’s wrong that women are represented like that on the one hand, and on the other corner was saying that women should be allowed to do exactly what they want to do,” says Bond Muir. “I agreed with both sides, but the reason why I came down on balance and disagreed with grid girls is because in Formula 1, grid girls were the most conspicuous way that women were presented in motorsport and in Formula 1. If there had been lots of female engineers, female mechanics, female team owners and senior people involved in teams, and senior drivers, I wouldn’t have a problem, because that was just another way women were represented. “I have a very strong belief that what we’re doing is required at the moment. If we were to reach all of our goals, actually in future years there would be no need for W Series, because 50 percent of the drivers going into motorsport are going to be women. The need for female role models within motorsport is something Hawkey missed when she first became interested in racing – to the extent that she didn’t know it was a discipline for both boys and girls. “When I looked at racing, I did think it was an all-boys school, and if I hadn’t asked my dad the question ‘can girls do this?’ I wouldn’t be here today,” Hawkey says. As we edge closer towards the start of W Series’ inaugural season on May 4, it is likely the debate over its suitability will continue and only intensify. But for the 60 women taking part in the upcoming trials, the opportunity on offer is clear: it’s a chance to race without the regular pressures, to make more of an impression within motorsport, and - most crucially - to inspire a future generation of women in motorsport.